A book of wit, wisdom and golden tickets from the world’s greatest storyteller – Roald Dahl. The audience for this book is unclear from the start. 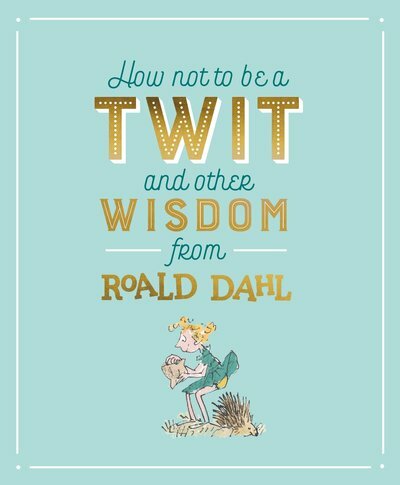 Whether it was an attempt to reach an audience of adults nostalgic about their favourite Roald Dahl, or to entice younger readers to give Roald Dahl stories a go, this book missed its mark twice. The extended explanations for each section (starting with the introduction) makes a mockery of Dahl’s wit for, though the book may be attempting to channel his linguistic dexterity, it fails. Then when it comes to the division of the book, once again any adult who has read Roald Dahl, who fell in love with his stories, would be disappointed, and those who are unfamiliar with his writing would be put off from every cracking a spine. Both the sections and the selections of Dahl witticism are shallow and unimaginative, in complete disrespect of the person they are supposed to be honouring with this publication. For someone who has read every Roald Dahl novel, and a number of his short stories, it was confusing why there were numerous quotes from some stories but none for others. Even more confusing were the quotes chosen, many did not hold much (if any) wisdom and often did not seem to fit within the section it was placed. I am not against showing insight into an author’s cannon of work (I love ‘The Wisdom according to Pooh’) but this is not that, if that was the intention. My suggestion is that if you love the work of Roald Dahl go read your favourite story again or try one you missed. If you have never read Roald Dahl my favourite was James and the Giant Peach.